Today’s caps aren’t only used by people to protect them from the Sun, but also to make a fashion statement. You won’t make a better fashion statement with this cap that features high-quality rift embroidery. This six-panel structured baseball cap comes with a pre-curved peak, giving the cap a more rigid shape. In the back of this cap, you can find a touch strap that allows you adjust the cap to most adult head sizes. However, the most important feature of this cap that will grab everyone’s attention is the exotic drift embroidery that spreads all over this heavy cotton cap. These handsome caps look great as they are -- but they look better with your logo custom printed on the front or peak. Great for clubs, businesses and sporting teams, use these attractive hats to help spread your message. All products include 8000 stitch embroidery as standard. Other branding options are also available. 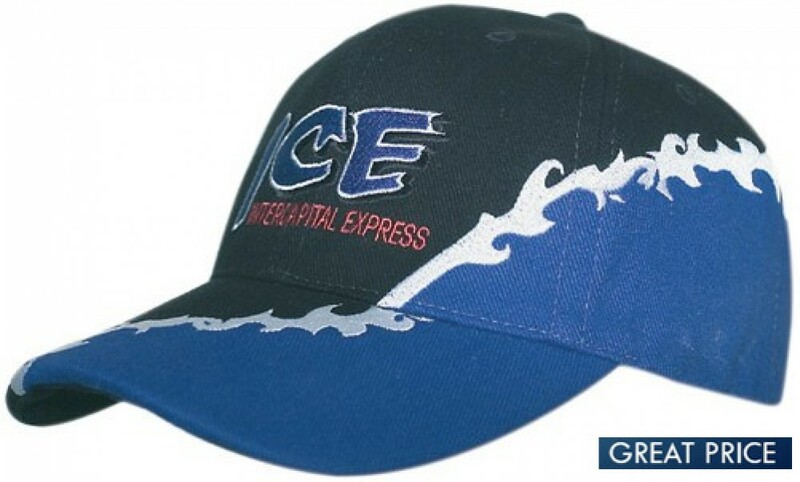 For custom branding, your artwork for the cap has to be supplied in eps, pdf or high-resolution jpeg.The price excludes Goods and Service Tax and freight. It is stocked in Australia for fast 1-week delivery.